Over the past decade, repair of ventral hernias with a mesh as opposed to primary closure with a suture has substantially improved the outcomes and has been accepted as the standard of care . For laparoscopic repair, the mesh is placed in the preperitoneal space, but for open repair, multiple options are available. Recent and past literature have compared onlay and sublay repair, and sublay repair is widely accepted as the standard of care for the open approach. Each mesh repair has its theoretical benefits and risks . Onlay repair is technically not as challenging as the sublay; however, it protects the mesh from intraperitoneal contents but at the same time is exposed to superficial wound infections. Inlay repair is technically easy, but the mesh is exposed to both intraperitoneal and extraperitoneal sources of infection. Sublay repair is more complex to perform and involves dissection of the plane which can damage the muscle, vasculature and nerves of the rectus abdominis . However, it avoids the creation of devascularizing flaps like in onlay repair which are amongst the major factors leading to the failure of the repair. In our experience, proper tacking of the mesh can reduce the rate of recurrence. Since 2013, we started doing onlay repair for recurrent ventral hernias at our institution and tacked the mesh with an absorbable suture and reinforced the repair by fixation of the mesh with hernia staples. A remarkable drop in rates of recurrences has been noted with reduced wound complications. This concept can be refuted by various available studies in the literature; however, certain studies have shown that in the case of larger hernias, the recurrence rate is higher after sublay closure . This ongoing dilemma remains to be heavily debated among various practicing surgeons and surgical societies. A recent article published in The American Journal of Surgery showed that using onlay mesh placement with an adhesive is equally safe and effective as the sublay repair . Hernia recurrence is a distressing event for both the patient and the operating surgeon. Various repairs have been promoted by different studies and reviews, but we think the major factor in preventing recurrence and wound infection is the surgical technique, choice of mesh and the methods used for tacking the mesh. 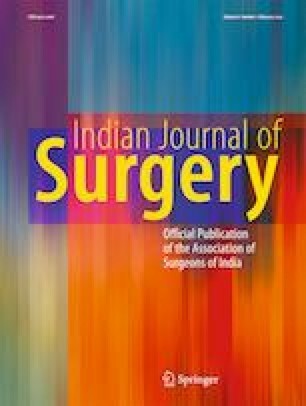 The use of a hernia stapler for securing the mesh in an onlay repair is a novel concept which has shown better results in our institution with a reduction in the incidence of recurrences and mesh infections.